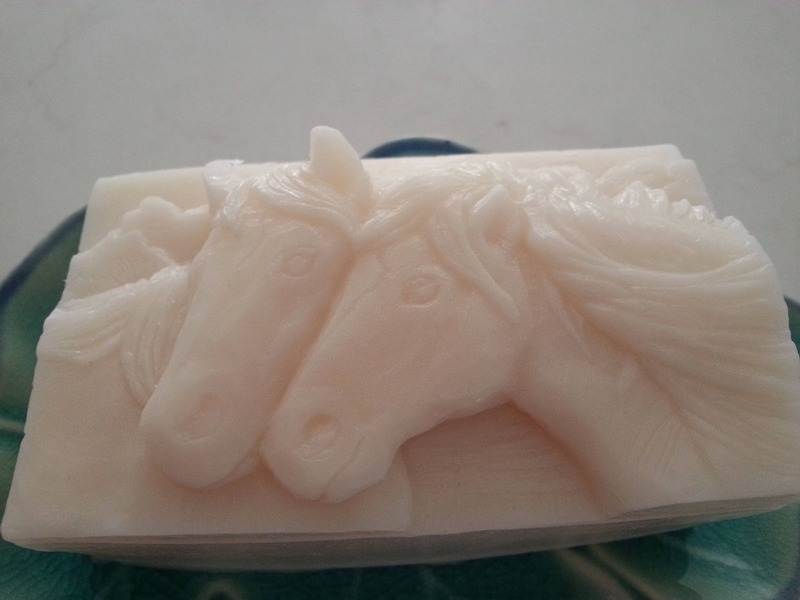 Individually crafted ivory or white colored, vegetable based glycerin soap, with a lovely depiction of horses on it. Your choice of Fragrance: 1.) 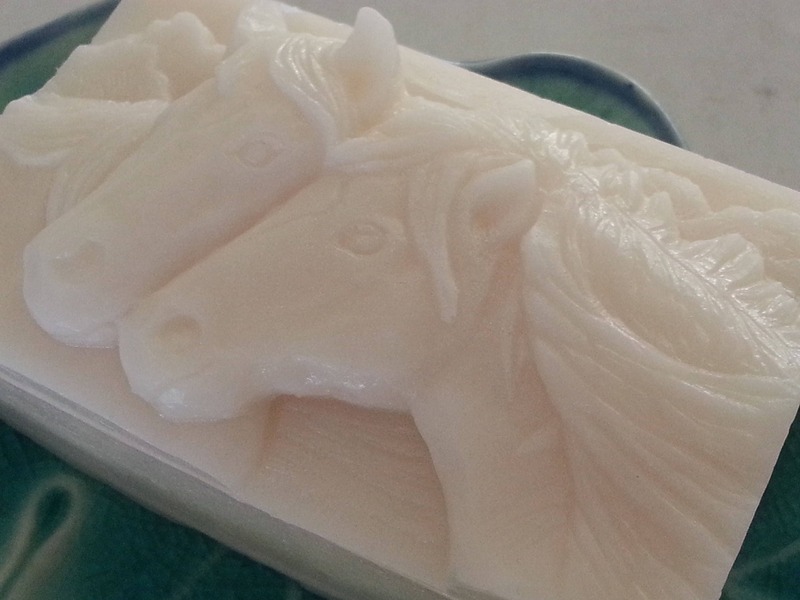 Honey Vanilla Almond: Made using skin nourishing honey, and lightly scented just a touch with vanilla and almond, 2.) Lavender Essential Oil, 3.) Peppermint Essential Oil, 4.) 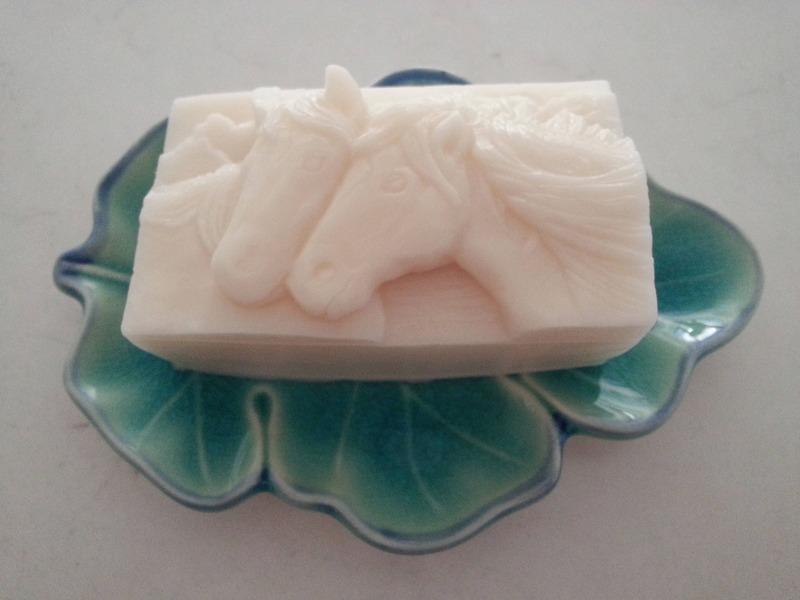 Bergamot Jasmine and Cedarwood Essential Oils, 5.) Cedar Peppermint Essential Oils. Will come in an eco-friendly compostable cello bag. Size: 3.25" x 2" x 1.25"